At First Baptist Church of Reeltown we provide a nursery for most of our services. If you are a parent with nursery age children we want you to know that the nursery is available to you but not mandatory. We strive to maintain a safe, clean environment for your children so you can be comfortable leaving your child in the care of our loving nursery staff. The Nursery is located in the left hall as you walk through the front doors of the church building. 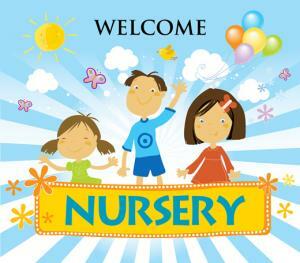 Nursery is provided for Sunday School, Sunday Morning and Sunday Evening Worship, and Wednesday Night Bible Study. Because of the number of children on Sunday Mornings and Sunday Evenings the Nursery is divided into two groups: (1) 0-23 months and (2) 2-3 year old. During the Sunday School hour and for Wednesday Bible Studies the nursery will be provided for 0-35 months only and the older children may attend their age-specific classes. 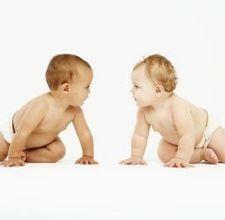 No Children over the age of 4 will be allowed in the nursery, unless there are special circumstances. Parents are encouraged to pick up their children promptly after the service. Children are important to God and important to our church family at FBC Reeltown and we want to do our very best to take care of these special gifts. Please feel free to contact us with any questions or concerns.